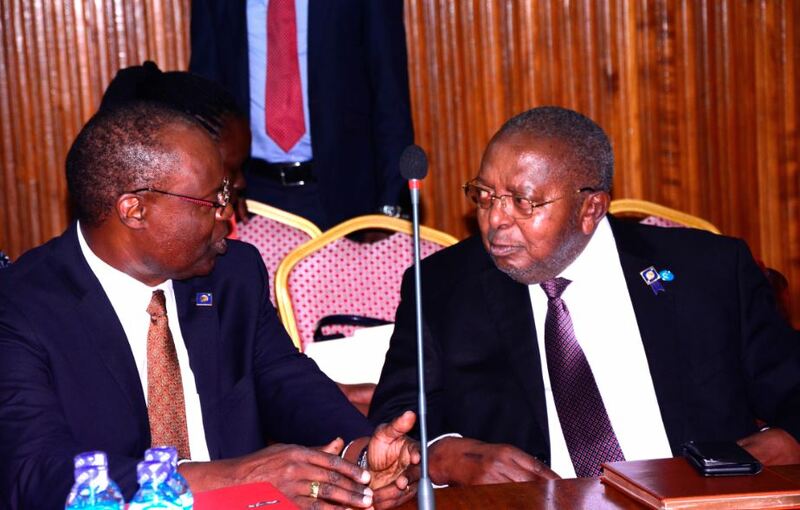 KAMPALA– The investigation into the procedure used to close the seven defunct banks has revealed that Bank of Uganda ousted the Uganda constitution in preference for United Kingdom law after the buyer of the loans refused to have the agreement implemented in the local laws. The revelation came to light on Wednesday after the officials of the Central Bank appeared before the Committee of Commissions Statutory Authorities and State Enterprises (COSASE) that is probing findings in the special audit reports that highlighted grievances in the way the Banks were closed. This was after Medard Sseggona, MP(Busiro East) asked the Central Bank officials why they ousted laws of Uganda including the constitution and chose to rely on UK laws in an agreement they signed with Nile River Acquisition that has agreed to buy off the loans of International Credit Bank, Greenland Bank and Cooperative Bank at USD5.2M. Margaret Kaggwa, Legal Counsel of Bank of Uganda told the Committee that it was Nile River Acquisition that asked to have the agreement executed based on UK laws, but these were only to apply in case of any disputes but not on debt collections.